Successfully Added LED Color Spinning Message Light to your Shopping Cart. 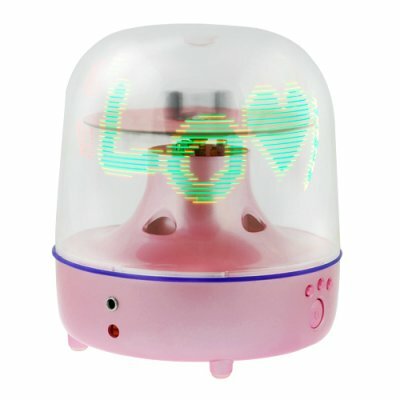 LED color changing message light and music bubble. Want to dress up the reception area of your office? How about giving your baby something to look at and listen to while you are changing the diaper? Well, here is your answer, a LED light bubble that you can program with the message or graphic of your choice. In addition, it also can play one of 12 classic midi love songs. Using the provided software, you can program a message, graphics, or combine both text and graphics. How does it look? If you have seen the Goodyear blimp, LED name tags, or the like, then you have an idea of what this desktop light bubble is capable of doing. In stock and available for single or bulk quantity orders, get yours today and be ready to impress people in time for your next big hosted event.. Message Length: 10 characters max.